Clean•Bee Organic Cleanser features propolis, a natural antiseptic and anti-inflammatory substance used by honeybees to strengthen their hives. Along with a powerful blend of white willow, aloe vera, and cucumber, Clean•Bee naturally heals and soothes skin while preventing breakouts. Coal•Bee Mask enlists activated charcoal and bentonite clay to gently purify, deep clean and exfoliate, giving you a healthy glow. Featuring propolis and royal jelly, it’s safe for sensitive acne prone skin and can be used twice a week. Tip- Use the mask right before the shower for an easy rinse. 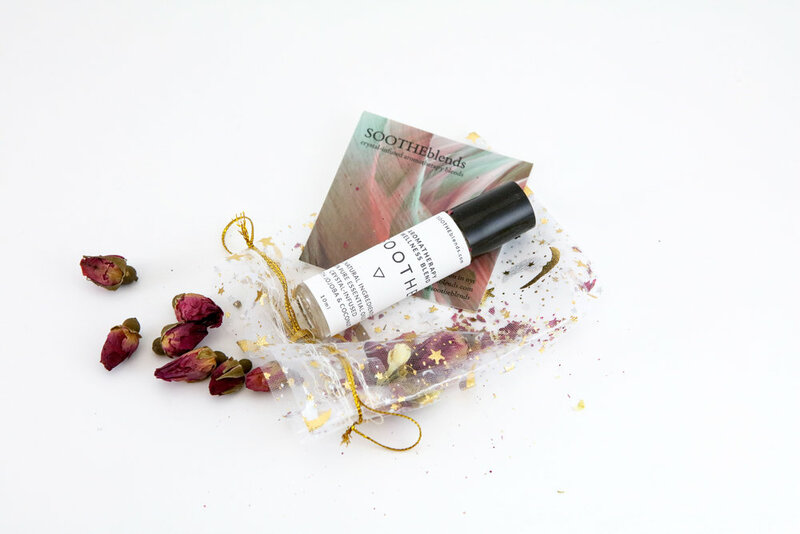 Bee•Witched Organic Toner combines the healing power of propolis (bee resin) with witch hazel, a natural antioxidant. With soothing aloe vera and brightening citrus, this toner fights acne-causing bacteria and leaves your skin with a clean, healthy glow. Transform your skincare routine with our purifying organic oil cleanser. Use daily to thoroughly remove dirt, make-up and pollution without disrupting the natural pH of your skin. The blend of pure plant oils won’t clog pores, dry out skin or cause irritation, making it ideal for all skin types including acne-prone. It gently deep cleanss and balances, feeding your skin vital phytonutrients for a truly radiant glow. SALT AIR: Sends you off to dreamland. GIN & TONIC: Fragrance with a citrus twist. BETWEEN THE SHEETS: Alluring blend of mango, passion fruit, rum. LILAC: A quick burst of unforgettable ﬂowers. CANNABIS FLOWER: First Cannabis focused fragrance on the market. JASMINE: For a captivating, seductive scent. 20 EAST BOTANICALS ROSE CLAY SAKE RICE POLISH is driven by handcrafted, natural, ethical, ingredients. An everyday foaming scrub that exfoliates mildly and removes dirt, gently respecting your skin. HOW TO USE: Pour a little in your hands, add some warm water until you have a thin paste. Massage onto clean and damp face, rinse and pat dry for perfection. SUDSOURCE offers you products that are good for your body, good for the earth. This luxurious, non-toxic, eco-friendly face cleansing oil is just what you need. TIME FOR SELF-CARE: Crafted from essential oils, this formula pulls out impurities without stripping the skin of natural oils. HOW TO USE: Massage a quarter-size amount onto face, then rinse with warm water. Great for all skin types. 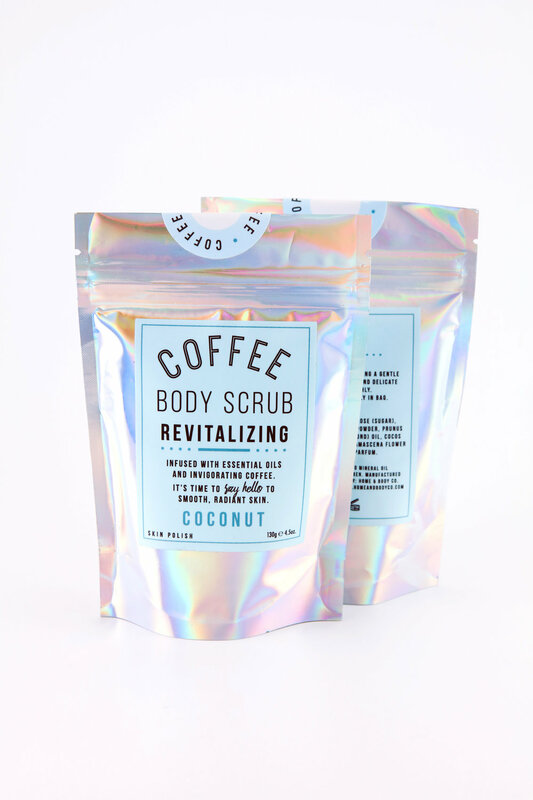 Revitalizing Coffee Body Scrubs are infused with essential oils, coffee and coconut aroma. Coffee grounds are a natural exfoliate that scrub away dead skin to give your skin a more even tone. Exfoliating with coffee grounds improves circulation, leaving you with smooth, radiant and glowing skin. Coconut aroma keeps the skin moisturized and healthy. How to use: Coffee Scrub is perfect to use 2- 3 times in a week to prevent clogged pores and gives your skin a natural glow. SOOTHE is my signature blend. With notes of Chamomile, Lavender, Ginger, Peppermint & Eucalyptus, it both rejuvenates and calms, making it the perfect antidote to stress, muscular pain, and headaches while also remaining invigorating on the senses and, well, SOOTHing for the body & soul. A major component in all my blends is Jojoba oil, which is medicine for skin, hair, and nails. Each bottle of SOOTHE is infused with the healing properties of a particular crystal, which will be indicated within your package when it arrives. The alchemy of this specific blend relaxes, cools, and settles the nerves. Breathe SOOTHE in, and when you release your breath, stress & tension will go with it. SACRED SOLUTIONS SKINCARE has a holistic approach when it comes to prevention and natural healing. MOON CYCLE SALVE: Great to alleviate menstrual cramping. PAIN RELIEF SALVE: Perfect blend to soothe those sore muscles. HOW TO USE: Massage a quarter-size of Pain Relief Salve on aches. Or massage same amount of Moon Cycle Salve onto womb every 30 minutes for menstrual pain. We know how important tea is. And we know how important it is to go right to the source. That’s why we founded English Tea Shop, to bring you superb tea from the heart of Sri Lanka. Our tea is hand packed. We care deeply about the way our tea is grown and harvested. Incense acts as natural air freshener by releasing fragrant smoke when burned. Incenses relieves anxiety and helps balance mood during PMS. Each incense box comes with 40 incense. Current fragrances: Orchid, Jasmine, Rose, Ocean, and Citrus. TREASURE TREE OILS are essential oils that beneﬁt emotional and physical wellness. This is a natural alternative to conventional medications. TEMPER: Helps calm feelings of anger, frustration, and restlessness and promotes patience. HOW TO USE: Apply on wrists, back of the neck, over the heart area and bottoms of feet. WOMEN’S BALANCE: Helps alleviate symptoms often associated with PMS by balancing hormones, and ease tension. HOW TO USE: Apply to the chest, abdomen, and back of the neck as needed. Avoid contact on or near the eyes, mouth, or sensitive areas. Not for internal use. 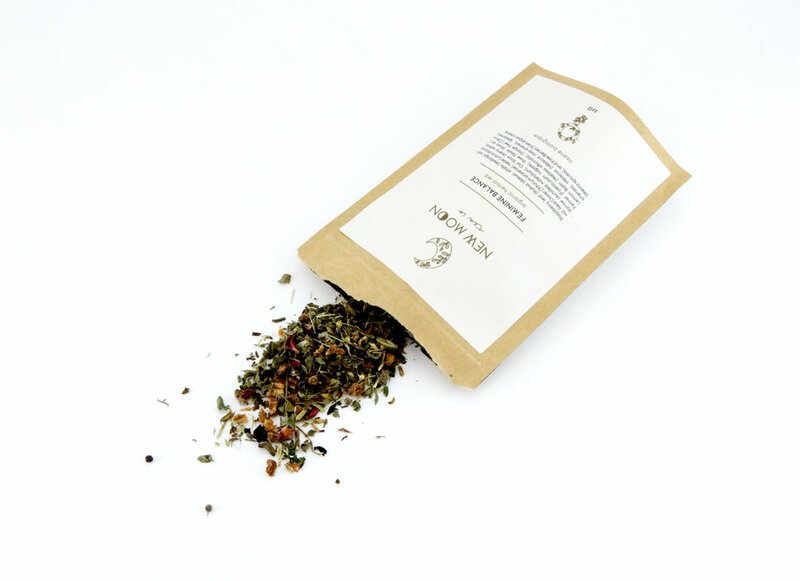 This delicious loose leaf blend harmonizes the body and relieves stress on hormones. Handcrafted in small batches, Feminine Balance tea is vegan, gluten-free with no caffeine. The raspberry leaf helps balance hormones, while the lemon balm eases period pain. Add 1-1.5 tsp of tea into an infuser, and pour 8 oz of boiling water over. Make sure to cover your tea to stop nutrients from escaping in the steam. Steep for 8-10 min. Enjoy! SIREN SNACKS Protein Bites Net wt 48g. Plant blend (pea, almond) bites with 12g of protein. 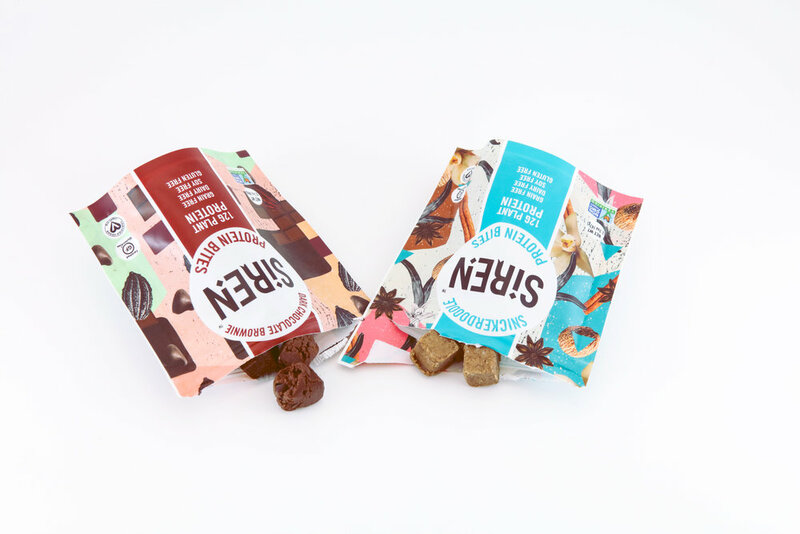 Based in San Francisco, SIREN SNACKS believes in a plantpowered future that respects the body, environment, and our furry friends. COOKIE DOUGH: Guilt-free recreated cookie dough fantasy. SNICKERDOODLE: A pinch of sweet, a dash of spice. Available in Merlot, Chardonnay, Rosé and Riesling, Vinoos by AMS introduces edible wine in the form of real WINE gums. Each PMSBOX comes with one assortment of flavor. Imported from Amsterdam, these gummies contain NO alcohol. They are gelatin-free and suitable for vegetarians. A totally new and exclusive designer product Vinoos lets you experience the sensational scent, gentle touch, amazing taste, and a finish that lingers in your mouth. Enjoy! NATURE'S BAKERY Stone Ground Whole Wheat Fig Bars are certified vegan, soy and high fructose corn syrup free, with no artiﬁcial flavors, or colors. 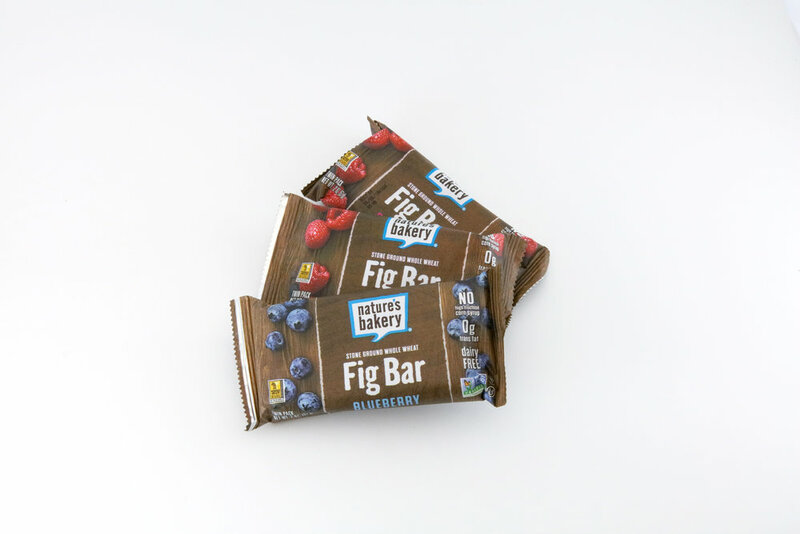 Made with a blend of ﬁgs, berries, and wholesome whole wheat for a delicious, semi-sweet and soft-baked taste. WHEN TO EAT: From home to on-the-go, they’re the daily snack companion you can rely on- especially when PMSing. The Dainty Drop necklace is a minimalist yet elegant necklace that consists of one handmade paper bead on a 14 k gold chain made by local artisans in Africa. DREAMER & CO was co-founded by Baylee Eby and Jessica Gardner. Both Baylee and Jessica had the opportunity to visit and work with a local non-profit in the Horn of Africa; Jessica visited in 2014 and Baylee visited in 2015. One of the non-profit’s programs focuses on a women’s project house, where they teach low-income women different skills, such as making paper beads, sewing, and baking. In addition, they teach them how to manage their finances and run a small business. DREAMER & CO is a for-profit jewelry company that empowers low-income artisans to flourish while inspiring conscious consumption. Ember and Flow Handmade is a woman owned business who creates handmade jewelry that are minimalist staples that evoke powerful femininity. Creator of the brand Sophie engraved hearts to the ear cuffs for PMSBOX to represent the never ending cycle of self-love and the mission to spread love externally. Sophie wants all of the pieces she created to help women feel strong and beautiful. She appreciates both the structure and the fluidity that are found in nature and enjoys incorporating these elements into every piece that she makes. A simple, elegant addition to any look, Sophie wants to remind women that their beauty lies in their inherent, intrinsic power much like the details hidden in her jewelry. Product Care Instructions: The handmade ear cuffs are water resistant. After using the jewelry for a long time, the brass may need a touch of polishing. For natural care of brass jewelry, combine 1 teaspoon of salt into ½ cup of vinegar. Then add flour until the mixture becomes a paste-like substance. Rub into the brass and leave for around 10 minutes. Once the 10 minutes are up, rinse the brass with warm water and dry thoroughly. SHOP RUMAH's handmade jewelry from Bingin Beach, Bali represents our changing energy, and never ending journey. SELF-CARE: A perfect day- to-day versatile sterling silver ring. So comfortable that it never needs to be taken off. TURKAN carries the traditions and wisdom of civilizations that go back centuries. 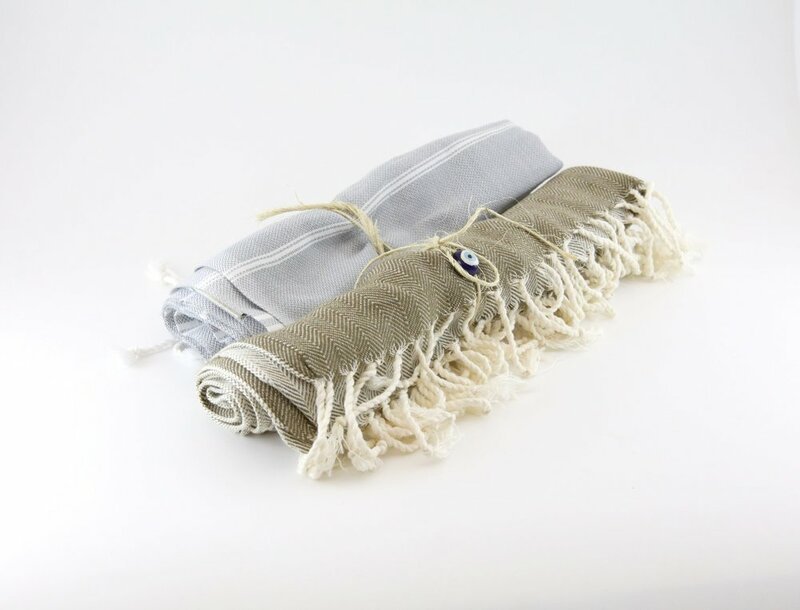 These handmade, organic towels are sustainable, thin and absorbent. HOW TO USE: Use as a throw, scarf, yoga mat, and more. HOW TO WASH: Wash with cold or warm water on quick cycle. Air dry and repeat use. Vegan, totally silicone free and made with the most comfortable, highest-quality medical-grade safe material available, Tampon Tribe’s Menstrual Cup has been designed to be the most effective available. Endorsed by MD’s and leading researchers, our Cup will have you wondering why you didn’t make the switch earlier! What do you think about our current products? Are there any items you wish we had? Thank you, we’ve received your review! Lunette Cup: Simply the best! “I was one of the unlucky brides that got a visit from Aunt Flo on her wedding. My lunette cup saved the day. I can't imagine having to worry about changing a pad or tampon in a wedding dress. I was able to keep my cup in throughout the days festivies without having to change it or worry about leakage. "I'd never used a cleansing oil so was pleasantly surprised with the results of the face cleansing oil. My skin is normal to oily and I'm highly physically active. I find with daily use my skin is softer, requires less moisturizer and my pores appear to be smaller. I'll use it in the morning and after workouts. I do still prefer a mild face soap when removing makeup. It only takes about 4 squirts to cleanse face and neck so the price point is excellent for a natural product with these results." "I have a red dainty drop necklace and have been super pleased with my purchase. The necklace is well made and I don't have to worry about it falling apart or breaking. Additionally, I always receive a complement when I wear it which is fun! I love that it provides a subtle pop of color to any everyday outfit, and can be used to accessorize dressier outfits as well. Overall, I love my dainty drop and definitely would look to purchase more necklaces from Dreamer and Co."
Province Apothecary Cleanser: THE BEST! "I love this cleanser! So much better than any product I've ever used on my face, gentle and gets the job done! In love with all the Provence Apothecary products, I look forward to my skin care routine every morning and night now."